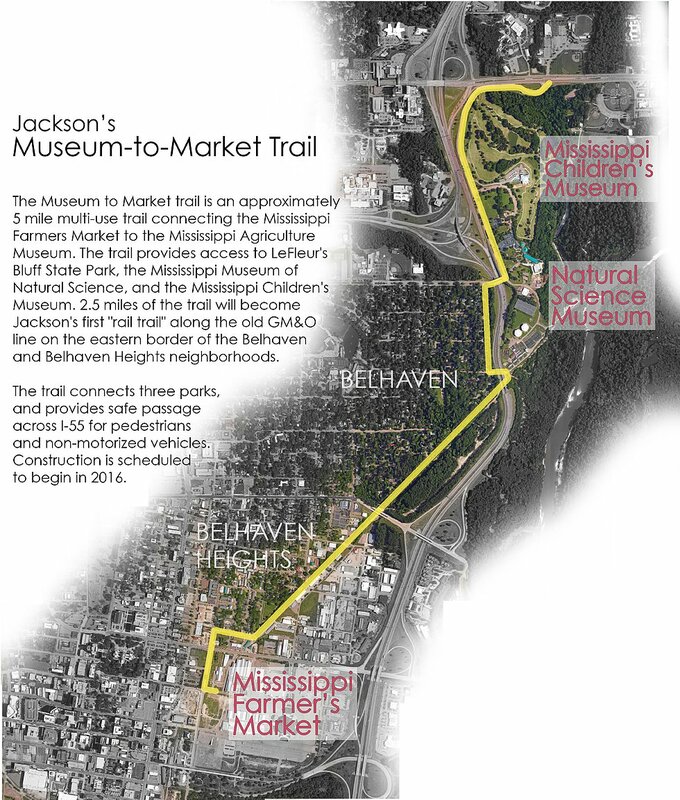 The proposed Museum to Market Trail is expected to connect the MS Ag Museum on Lakeland Drive to the Farmer's Market at the State Fairgrounds, Along the way, the trail will connect to the Sports Hall of Fame, LeFleur's Bluff State Park, Children's Museum and Natural Science Museums. It follows, in part, the old GM & O Railroad line through Jackson, thus making it the first "rails to trails" project in the metro area. 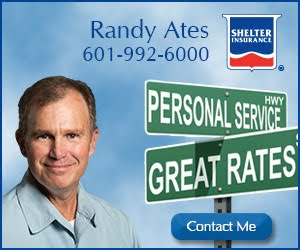 Find out more info at the Jackson Trailblazer's website, or Team JXN website, or Museum to Market Facebook Page, or this old post from the Jackson Obscura Blog.